He's a master performer and I'll be there again tonight for more. While U2's Grammy opening performance looked desperate for all parties involved and Bruce Springsteen huffed his way in a state of aging boomer breathlessness through a forgettable Super Bowl act, Prince once again demonstrates that he understands his audience and what they want: to be in the club, whenever and wherever he performs and however he gives them access. 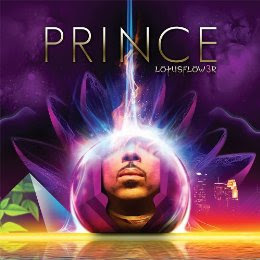 Joining lotusflow3r.com for about $75 a year with access to advance ticket purchases, exclusive extras, merch, downloads and most importantly the badge of belonging. I'm a big fan of Hulu (also owned by NBC like the Tonight Show) and wish they had a clip of last night's show up for sharing. I waited before posting this blog to see if they would make it happen. But then why would they want to do something silly like give Prince fans the tools to help drive ratings the next two nights? When and if it appears, I'll update.